"STOP THE CAR...this is the one you have been waiting for!! 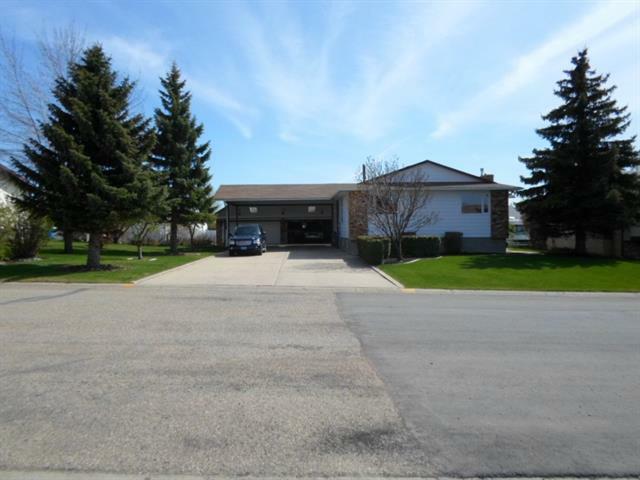 4 bedroom, 4 bathroom BUNGALOW w/ garage on a large 1.5 lot. Kitchen has newer appliances & oodles of cupboards & counter space and opens to a separate dining area that overlooks the SUNKEN LIVINGROOM complete w/ a cozy gas fireplace & beautiful wood feature wall. Main floor has the Master Bedroom with 3 pce ensuite as well as two more bedrooms & a 4 pce bathroom. Lower level has another bedroom & another room that has a closet but no window (easy to make into a 5th bedroom if needed), great flex area perfect for the home Gym or dance floor, a wet bar, a 3 pce bathroom & a SUNKEN FAMILY Room complete with another gas fireplace. The heated 32 x 40 garage has a 2 pce. bathroom 2 double doors & hot/cold water taps. Covered concrete parking for many vehicles plus plenty of room for the RV. Upgrades over the years incl. house shingles (2018), furnace (2011), some new windows, paint, deck (2012), the list is long! Shows 10/10...call to view!"